The Johnstown Tomahawks are proud to be members of the greater Johnstown community and look forward to participating in many events and contributing to charitable organizations throughout the season. Visit this section of the website regularly to learn more about where the Tomahawks have been in the community! The Miner’s Memorial Day Parade in Windber on Saturday received a visit from Chopper! The Johnstown Tomahawks are proud to introduce their anti-bullying / pro-teamwork presentation called, “Stick Up for Kids”. Tomahawks players talk about I.C.E. (Integrity, Character, Excellence), how they portray those three traits on and off the ice, along with how the students can portray integrity, character, and excellence at school and at home. Thank you to Johnstown Christian School, East Side Elementary, United Elementary, Portage Elementary, Eagle View Elementary, Ferndale Area Elementary, North Star Central Elementary, St. Andrew’s School, Maple Ridge Elementary, and Westside Elementary for allowing us to come into your schools and discuss the importance of team work and how bullying needs to stop so students can work towards one goal! The Johnstown Tomahawks helped pass out the awards and flowers to each Olympian as their name was called. 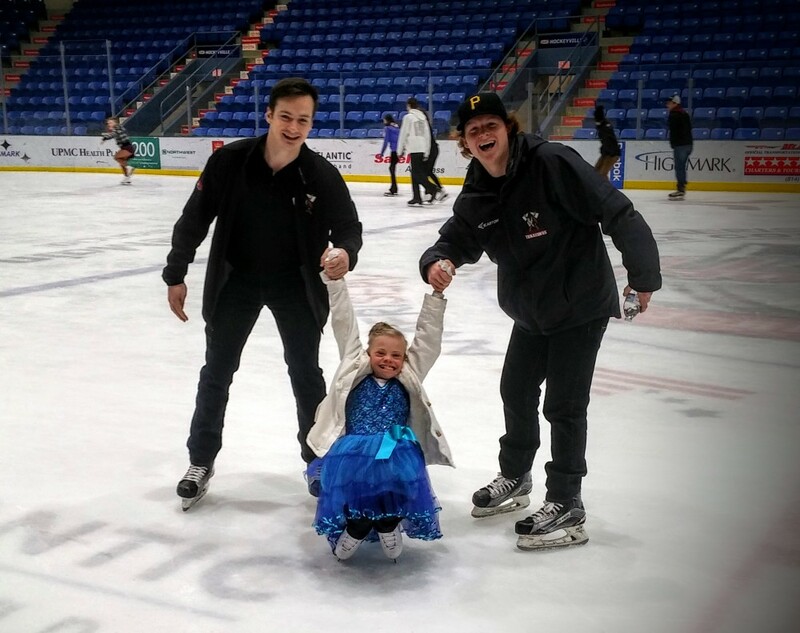 After the awards were passed out, the Tomahawks skated and had fun with their new friends. The Tomahawks would like to say thank you to the Special Olympics of Western PA for allowing us to help out during your event! 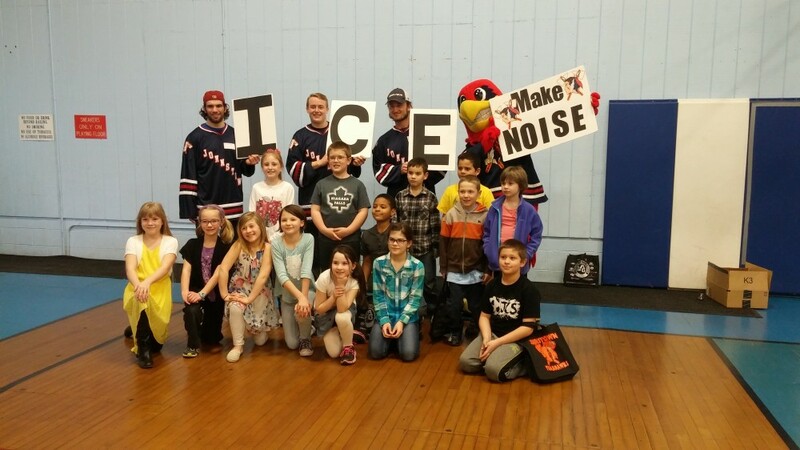 Once again, the Tomahawks and the Boys and Girls Club of Somerset partnered up for a exciting and memorable night of hockey with the kids. Players Alex Alger, Justin Cmunt, and Niko Coffman were on hand for this visit. Keep an eye out for more appearances at the Boys and Girls Club of Somerset! 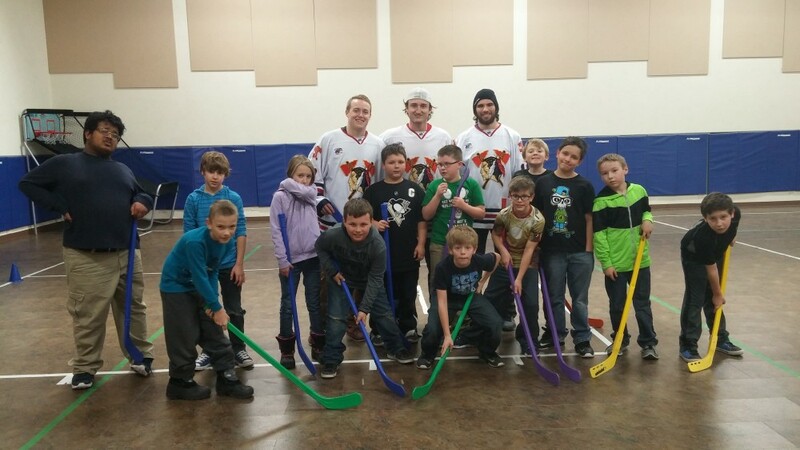 Tomahawks players Ryan Glander, Anthony Parrucci, and Adam Pilewicz stopped by the Somerset Boys and Girls Club to play floor hockey with the kids! 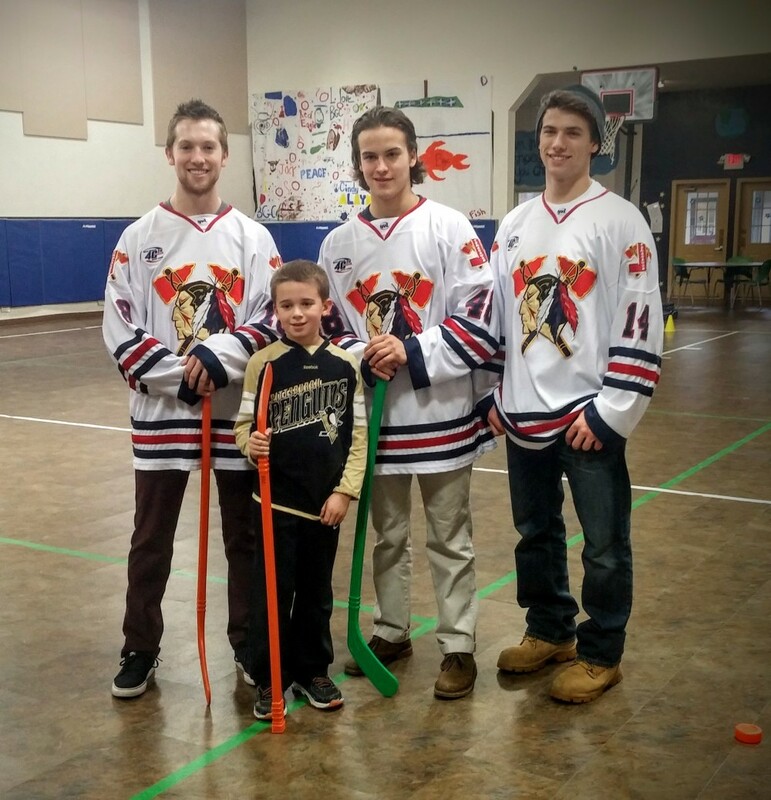 The Tomahawks look forward to more fun visits with the Boys and Girls Club. 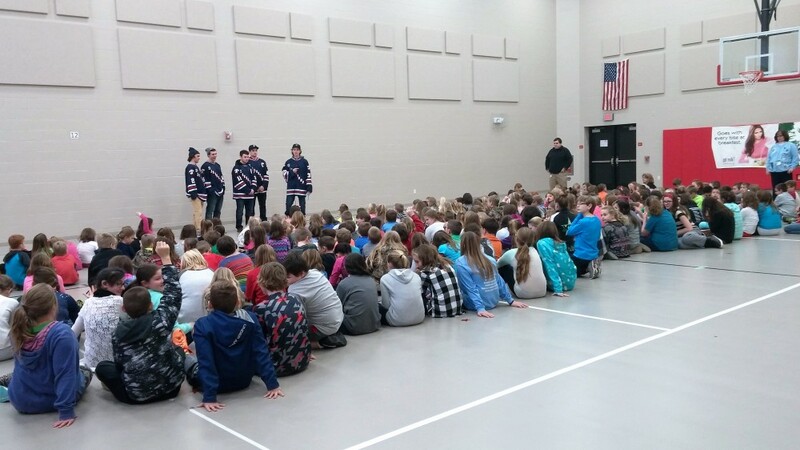 On January 19, Logan Hudson, Andrew Romano, Adam Ostrowksi, Andrew Lindgren, and Luke Picek talked with the Jackson Elementary students on January 19, 2016 about teamwork and anti-bullying. Following the discussion they answered questions about teamwork, bullying, and what the Tomahawks do on a daily basis. On January 21, Logan Hudson, Andrew Romano, Niko Coffman, and Andrew Lindgren talked with the elementary students at Central Cambria. They first started out by explaining their team motto to the students. “ICE” stands for Integrity, Character, and Excellence. They described situations where they show those three qualities on and off the ice. They then told stories about being bullied when they were younger and explained what they did to overcome their bully. Following their real life stories, they placed 8 balloons on the ground and said 8 statements; the students then had to say which statement was true and which was false. The players invited students up to pop the balloons after each statement was read. A question and answer session was held immediately following the event where students received prizes for correct answers. Thank you Jackson Elementary and Central Cambria for helping us kick off our Anti-Bullying / Pro-Teamwork Talk!